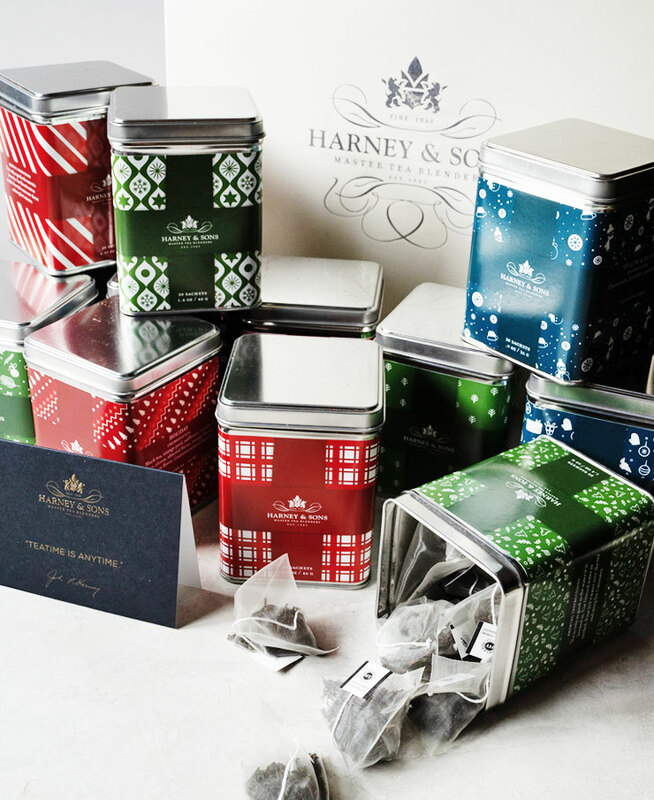 .A chance to win 12 Days of Christmas Gift tea set and a $100 gift card from Harney & Sons. An American tea company started by John Harney in 1983, Harney & Sons is a family owned and operated business that sources and blends high quality tea. Thanks to Harney & Sons, we’re kicking off this holiday season’s series of giveaways with this fantastic prize valued at $204! What is 12 Days of Christmas Gift? 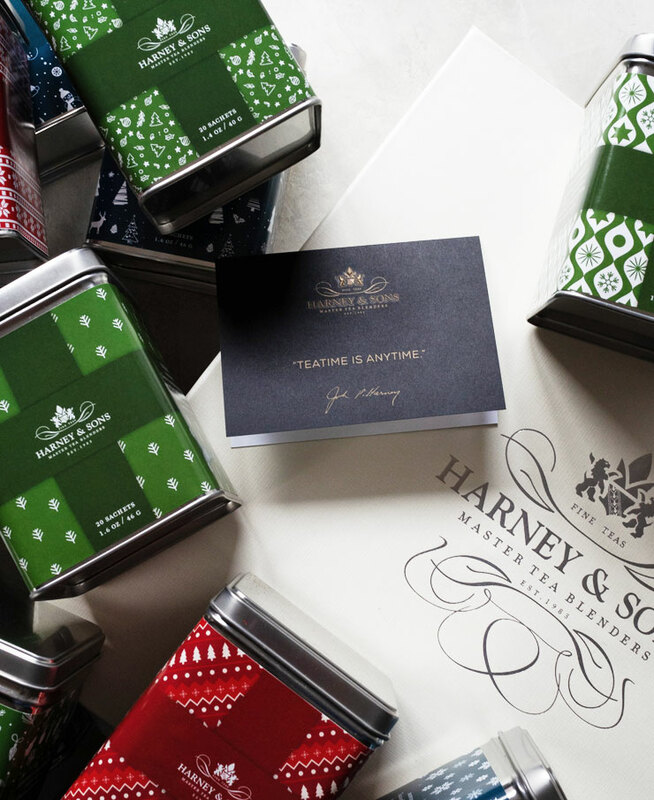 It’s a gift set of 12 full sized tea tins filled with 12 different Harney & Sons tea. 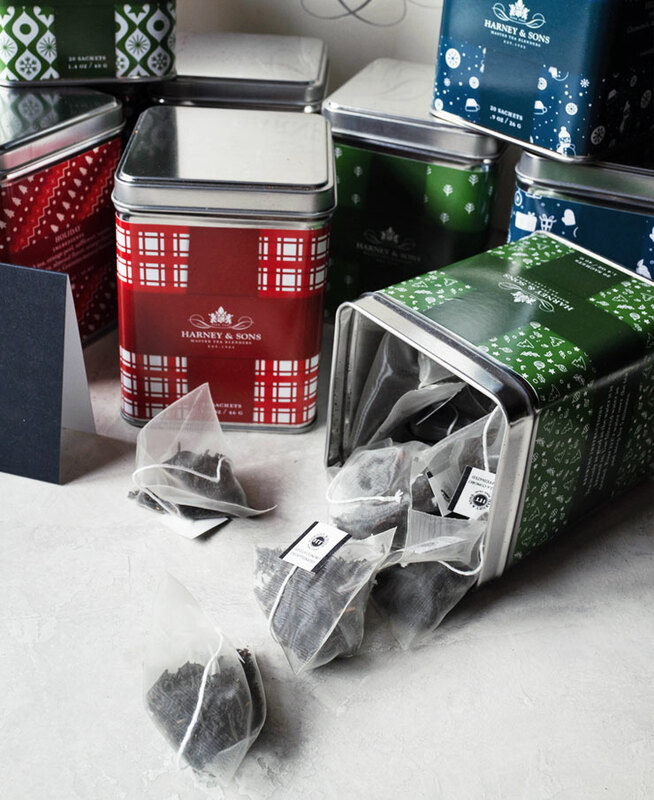 Each tin contains 20 sachets and has a different festive design. Want some ideas on what to do with ALLLL this tea? How about tea lattes and tea blended hot chocolate? Treat yourself (or a friend) with tea or teaware from Harney & Sons with a $100 virtual gift card. It’s good for tea and merchandise purchased at Harney.com or at their stores in Soho, NYC or Millerton, NY. For a chance of winning, just enter your email address in the form below. Enter every day for a better chance of winning! Just a note that when entering your email address, you will be signed up for the Oh, How Civilized newsletter. NOTE: This giveaway is only open to US residents. Winner will be contacted by email and entries will be verified. If winner does not respond within three days of being contacted, another winner be chosen. Giveaway prize courtesy of Harney & Sons. I would to win this sweepstakes & try all your blends. No one loves tea more than I! This is one giveaway I’d love to win!